Courtney Overfield give listeners the truth about being a psychic, what it’s like impacting others and topics such as mediumship, growing up psychic, psychic sniping and more! Topic: Courtney discusses the Eclipse, and many of the current planetary events, and the powerful energy in the air and how its effecting us all. The universe has changed the energy around us, how we can use it in a powerful positive way. Topic: ENCORE SHOW. May 2017. Courtney answers frequently asked questions, how to work with your intuition, world events, the rising of energy and more! Find out about her upcoming events, booking with her and her upcoming live gem show. Make sure to listen to the whole show for some wonderful information. Topic: ENCORE SHOW! June 2017. The Body, Mind, Spirit connection. Tools to clear stress and depression. What you can do and what works! Topic: The Body, Mind, Spirit connection. Tools to clear stress and depression. What you can do and what works! Topic: Courtney answers frequently asked questions, how to work with your intuition, world events, the rising of energy and more! Find out about her upcoming events, booking with her and her upcoming live gem show. Make sure to listen to the whole show for some wonderful information. Unveiling the Psychic Truth. Courtney Overfield give listeners the truth about being a psychic, what it’s like impacting others and topics such as mediumship, growing up psychic, psychic sniping and more! This month’s topic: Angelic and Higher Beings presences, how to determine their messages, purposes and how they are different from spirits. SPECIAL RE-BROADCAST! June 2016 show! Unveiling the Psychic Truth. Courtney Overfield give listeners the truth about being a psychic, what it’s like impacting others and topics such as mediumship, growing up psychic, psychic sniping and more! This month’s topic: Grief and Loss, how does this affect the way you connect to and sense spirits, near death experiences and the other side. Unveiling the Psychic Truth- Courtney Overfield give listeners the truth about being a psychic, what its like impacting others and topics such as mediumship, growing up psychic, psychic sniping and more! This months topic: Psychic Children. Is your child psychic? How can you help them, promoting their gifts, teaching them to protect themselves, etc. REBROADCAST OF June 3rd, 2014 show! Unveiling the Psychic Truth. Courtney Overfield give listeners the truth about being a psychic, what it’s like impacting others and topics such as mediumship, growing up psychic, psychic sniping and more! This month’s topic: Mediumship with guest Shelly Paull from Illuminate Your Spirit! Unveiling the Psychic Truth. Courtney Overfield give listeners the truth about being a psychic, what it’s like impacting others and topics such as mediumship, growing up psychic, psychic sniping and more! This month’s topic: Karma, Past Lives, Record keeping and more! Find out how to access them, how it works and are you currently paying off your karma? Unveiling the Psychic Truth. Courtney Overfield give listeners the truth about being a psychic, what it’s like impacting others and topics such as mediumship, growing up psychic, psychic sniping and more! This month’s topic: Love and Relationships, mixing romance with intuition, how it is beneficial and how it is not. Unveiling the Psychic Truth. Courtney Overfield give listeners the truth about being a psychic, what it’s like impacting others and topics such as mediumship, growing up psychic, psychic sniping and more! This month’s topic: Different tools to be read by, tea leaves, runes, etc. and how they apply to being psychic & New Year’s Resolutions. Unveiling the Psychic Truth. Courtney Overfield give listeners the truth about being a psychic, what it’s like impacting others and topics such as mediumship, growing up psychic, psychic sniping and more! This month’s topic: Spirit of Christmas, Psychic Pets and FREE one question readings! Unveiling the Psychic Truth. Courtney Overfield give listeners the truth about being a psychic, what it’s like impacting others and topics such as mediumship, growing up psychic, psychic sniping and more! This month’s topic: Color Therapy. How different colors mean different things and how you can change things in your life by working with color. Unveiling the Psychic Truth. Courtney Overfield give listeners the truth about being a psychic, what it’s like impacting others and topics such as mediumship, growing up psychic, psychic sniping and more! This month’s topic: Meditation, how it works to heal the body, mind and spirit. An easy method of meditation and getting yourself into the habit of doing so we will also be discussing Samhain or Halloween! Unveiling the Psychic Truth. Courtney Overfield give listeners the truth about being a psychic, what it’s like impacting others and topics such as mediumship, growing up psychic, psychic sniping and more! This month’s topic: Depression, is it time for a cleansing or healing? Time to clear out that funk and how to do it! Unveiling the Psychic Truth. Courtney Overfield give listeners the truth about being a psychic, what it’s like impacting others and topics such as mediumship, growing up psychic, psychic sniping and more! This month’s topic: Fear, a topic that has come up with many clients. Let’s work on clearing out Fear in your own life and with your own psychic capabilities! Unveiling the Psychic Truth. Courtney Overfield give listeners the truth about being a psychic, what it’s like impacting others and topics such as mediumship, growing up psychic, psychic sniping and more! This month’s topic: The Moon, all its phases and how it affects you, and what type of manifestations to do around each moon. We will also discuss inner voice. Unveiling the Psychic Truth. Courtney Overfield give listeners the truth about being a psychic, what it’s like impacting others and topics such as mediumship, growing up psychic, psychic sniping and more! This month’s topic: Dream and vision interpretation: how to interpret what you are seeing, sensing and dreaming. Unveiling the Psychic Truth- Courtney Overfield give listeners the truth about being a psychic, what it’s like impacting others and topics such as mediumship, growing up psychic, psychic sniping and more! This month’s topic: Springing into a healthy, healing, psychic you and Stones, Rocks, Crystals. What they can do for you and how they work! Unveiling the Psychic Truth- Courtney Overfield give listeners the truth about being a psychic, what it’s like impacting others and topics such as mediumship, growing up psychic, psychic sniping and more! This month’s topic: Spell casting, Pricing, what they can do for you and more! Unveiling the Psychic Truth- Courtney Overfield give listeners the truth about being a psychic, what it’s like impacting others and topics such as mediumship, growing up psychic, psychic sniping and more! This month’s topic: Inner workings of a psychic, how to work with your own personal gifts, is this the profession for you. Unveiling the Psychic Truth- Courtney Overfield give listeners the truth about being a psychic, what it’s like impacting others and topics such as mediumship, growing up psychic, psychic sniping and more! This month’s topic: A psychic New Year! To wish everyone a Merry Xmas, Courtney will offer Free One Question Mini Readings. Unveiling the Psychic Truth! Courtney Overfield give listeners the truth about being a psychic, what it’s like impacting others and topics such as mediumship, growing up psychic, psychic sniping and more! This month’s topic: Tools for readings, Tarot, Oracle, Runes and Divination as a whole, what it can do for you. Unveiling the Psychic Truth. Courtney Overfield give listeners the truth about being a psychic, what it’s like impacting others and topics such as mediumship, growing up psychic, psychic sniping and more! This month’s topic: The Thinning Veil, Manifestation, Connecting to your Deceased Loved Ones and Reducing Negativity. Unveiling the Psychic Truth. Courtney Overfield give listeners the truth about being a psychic, what it’s like impacting others and topics such as mediumship, growing up psychic, psychic sniping and more! 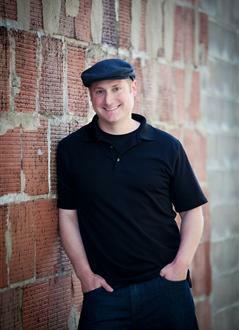 This month’s guest, Book Author and Psychic Medium, Andy Myers. Unveiling the Psychic Truth. Courtney Overfield give listeners the truth about being a psychic, what it’s like impacting others and topics such as mediumship, growing up psychic, psychic sniping and more! This month’s topic: Mediumship Part 2 with guest Shelly Paull from Illuminate Your Spirit. Unveiling the Psychic Truth! Courtney Overfield give listeners the truth about being a psychic, what it’s like impacting others and topics such as mediumship, growing up psychic, psychic sniping and more! This month’s topic: Mediumship with guest Shelly Paull from Illuminate Your Spirit.